A cloud rained on me once. I remember that Cloud. Vengeance will be MINE!!! @Skyentist Bentware is being hateful towards clouds! Oh my! We must form a pro-cloud group to protest this anti-cloud group uprising! ALL HAIL CLOUDS AND THEIR MAGNIFICENT PUFFINESS! Adam Pearson presents a personal film about genetics. He and his twin brother are genetically identical and both have Neurofibromatosis 1 (Nf1) - yet they are completely different. 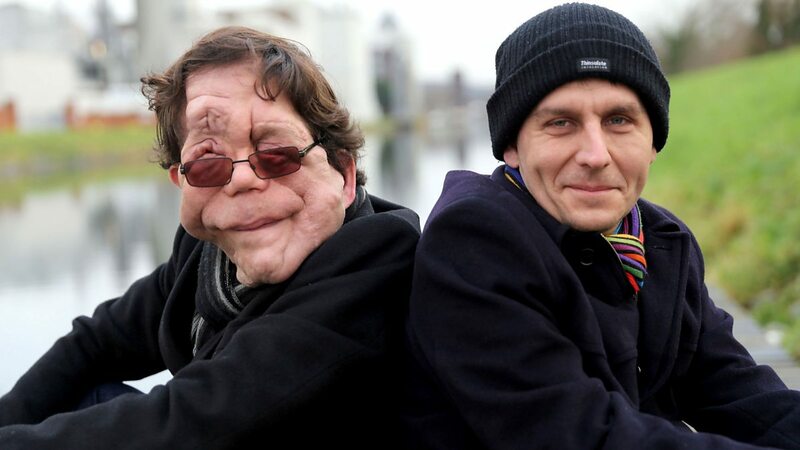 Adam Pearson and his twin both have Neurofibromatosis 1, but they're completely different. Before 2000, few people in China – or the rest of the world – had heard of the Rainbow Mountains. Didn't really belong on the science page. So I have found quite a bit of things in the last time I was here. I decided to come and share a bit of resources I've been using the past few weeks. http://academictorrents.com/ For data hoarders and for anyone else looking just to read up on anything interesting. I was looking at Hamiltonian mechanics with a friend and it was pretty useful and neat to read and see some data. I didn't understand the dynamics but I tried. Last but not least, if none of you know, libgen is a great ebook resource. I believe it's down now but libgen indexes http://bookzz.org/. It will probably be mostly used for highly specialized applications. Imagine for example a shopping window of a clothes shop, where the clothes are just projected on a mannequin... For example. It could also be used as a way to pester us with even more ads during our "shopping tours"
Technology has been around for a few years, companies like LG, Samsung and a few others already have patents on them. One of the concepts has the ability to display images only on one side while being transparent on the other, could appear on smart-phones and consumer monitors in a few years. Once the technology is really cheap I'm sure we'll see 1001 uses for it. In 20 years time big bulky screens will start to become a thing of the past. They sort of are, I haven't seen a CRT in awhile. A big use I see is in the automotive industry. Imagine - A solid block of black covering up the sun during a sunset drive, reducing glare. Also, variably tinted windows. HUDs, displaying highlighted outlines of objects or obstacles in the roadway, warning of incoming animals and other vehicles, and a gps system that doesn't require eyes off the road. Imagine all the Facebook people can do with semi-transparent screens while driving! Okay, maybe not that one, but there are also applications in the medical field. Perhaps a super version of the google-glass that allows doctors to see their patient's 3D x-ray and MRI while performing surgery - all in real time and aligned with the patient's body. Basically, HUDS everywhere will be revamped. A broken shoulder? Meh, whatever. I got my record. Augmented reality headsets. Later, augmented reality glasses. Later still, contact lenses. What I mean is, why are people exited to be using them as TVs or desktop PC monitors, and why do they keep getting shown as being used in that capacity in all sorts of scifi!? HUDs, displaying highlighted outlines of objects or obstacles in the roadway, warning of incoming animals and other vehicles, and a gps system that doesn't require eyes off the road. Doesn't work like that, unfortunately. A few cars tried those 'dumb' screen HUDs, and it became soon apparent that it was dangerous, as switching between the road and the screen broke focus and what appeared on the screen distracted the user, so in the end it was more a source of accidents than anything else. A stack of 20 transparent LCD displays could make a fairly fun 3D display. Would be cool to experiment with at least, if you were rich enough to afford 20 transparent LCD displays. the Nintendo 3DS already has the capability to display 3d images without the need for glasses. maybe the technology could also be used for car huds.